In our family, we have a tradition every year to have an Easter Egg Hunt for our six kids! We fill lots and lots of plastic Easter eggs with candy, money and other goodies and hide them in the backyard. However, this year we changed things up. We decided to try something new and it was a blast! 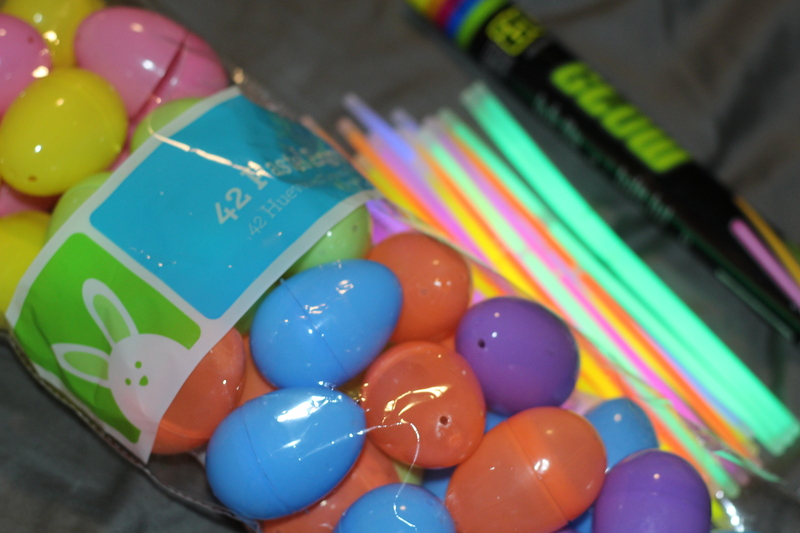 This year, we headed to Walmart and Dollar Tree to pick up the goodies we needed to make our Glow-in-the-Dark Easter Eggs. We bought a bunch of plastic Easter eggs (different sizes are great) at Walmart and then Glow-in-the-Dark bracelets from Dollar Tree. 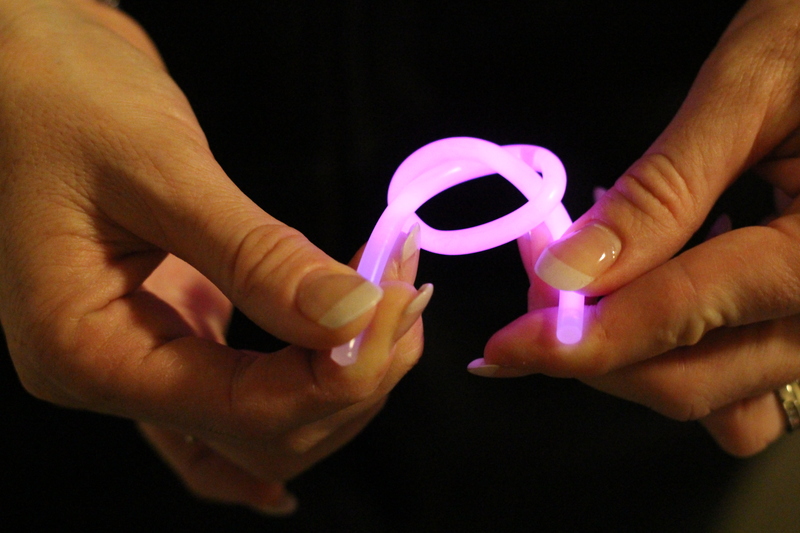 We spent about $15 on plastic eggs and glow-in-the-dark bracelets for six kids. Not too bad, right? Putting the Glow-in-the-Dark Easter eggs together was fun. 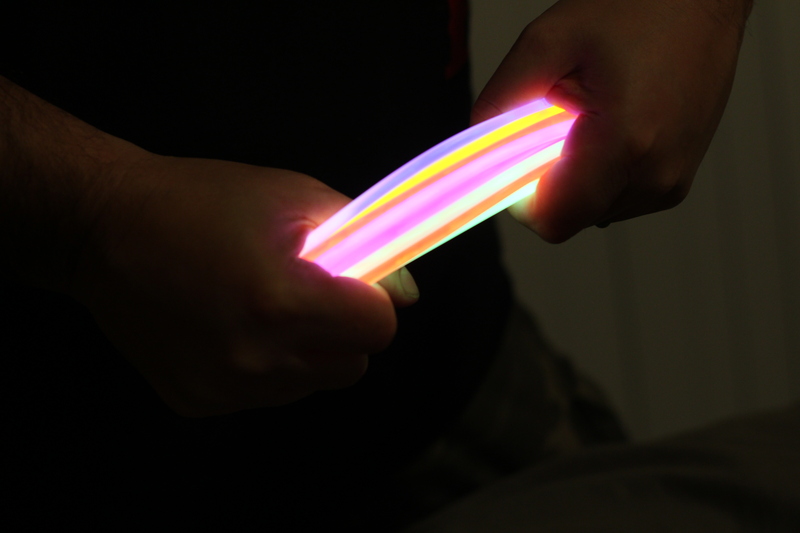 First, open up the plastic Easter eggs and then break the glow sticks and shake, this will activate the glow-in-the-dark material in them. 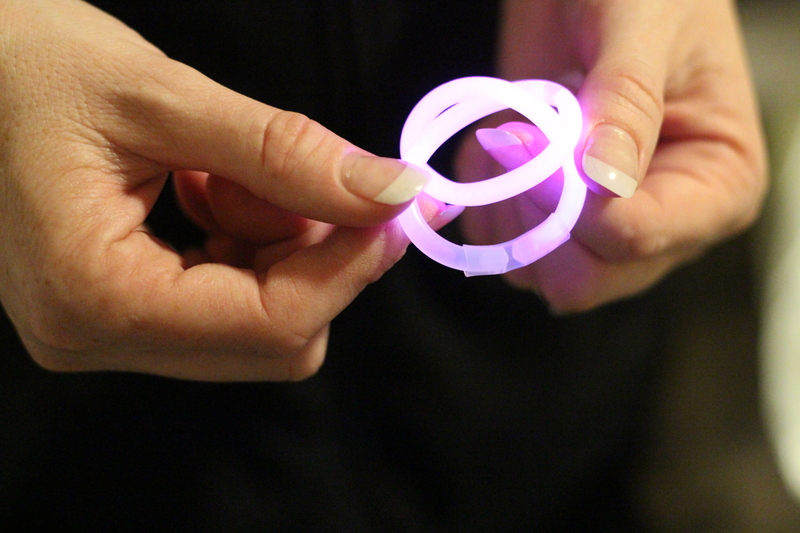 Next, twist the glowing bracelets in a knot and attach the ends to a connector so they will fit in the plastic Easter eggs and stay together. Then close the egg and you will have a fantastic glowing egg. My wife put together bags of candy for each of the kids instead of putting the candy in the plastic eggs, though you could also put a piece of candy in the egg with the light stick as there is still room. The kids loved it! 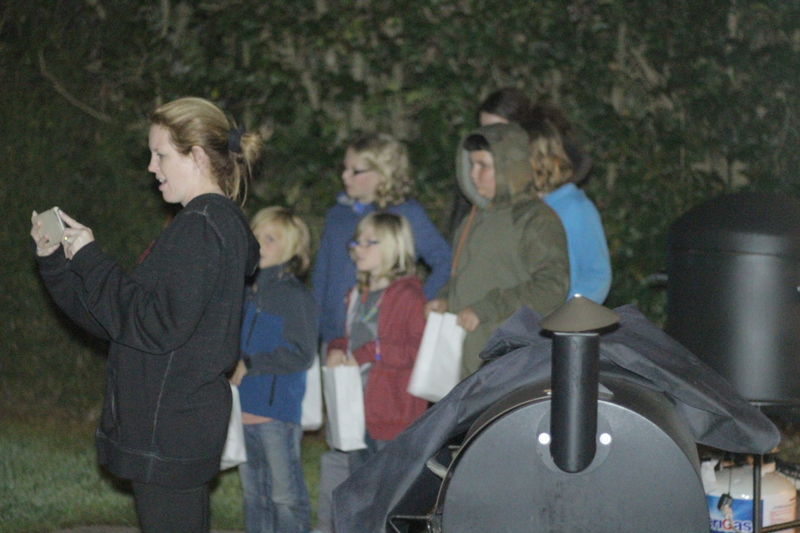 They had a blast searching for the Easter Eggs in the backyard in the dark and loved how they looked in the white paper bags. All in all, we would definitely do this again for our future Easter Egg Hunts!! How do you do your Easter Egg hunts? Frank Gurnee lives on the central coast of California with his wife Shannon, and their 6 crazy, spunky, smart, crazy, funny, intelligent, crazy kids.. Did he mention crazy? Ok, well he's over exaggerating a bit, maybe spunky is just too over the top “lol”. On this blog, he talks about the dad's perspective of having a large family, as well as the ways dads and moms can maintain some sanity; while also embracing the fun that can be had when everyone is together. I love it! I never would have thought to do this, but my kids would LOVE it. This is such a cool idea! I’ll have to try this next Easter. We will have to give this a try next year… or maybe dig out the eggs and try them for a non-easter hunt…. just for a fun time. Thanks! I’ve never seen anyone do this before. I love it! 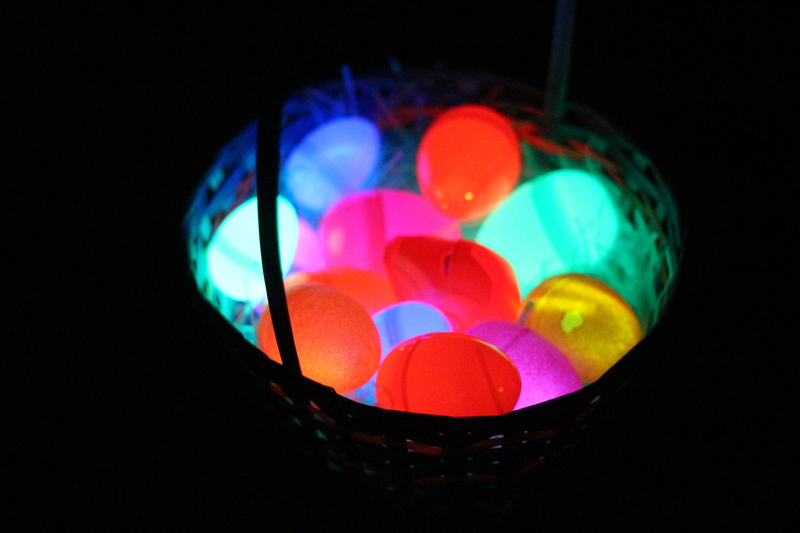 I night time egg hunt sounds like a blast for the kiddos. Oh how fun! My kids would have such a blast with these. I could do these for Canada Day! Such a great idea! I haven’t made glow in the dark Easter eggs before, but you can bet it is on my list for next year! Kids love treasure hunts and this definitely fits the bill. This is such a neat idea. I always thought it would be fun to have a night time Easter egg hunt. Ah, that’s a really clever idea. I really want to try this sometime! 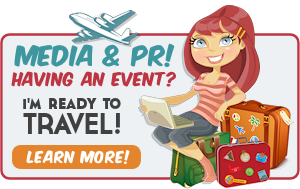 That is a super fun idea, and I would love to try next year! J loves hunting for Easter Eggs, he’d really go wild over glowing ones! This is such a fun idea, especially for families with older children. I will definitely be doing this next year. 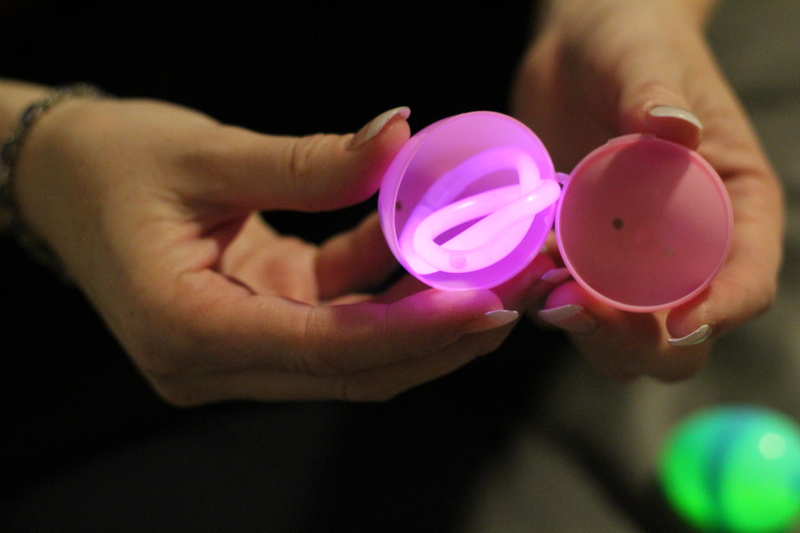 Glow in the dark eggs take Easter Egg hunting to a whole new level, don’t they? 🙂 I think this would be a blast. I absolutely love this awesome idea and will certainly be pinning it so I do not forget to incorporate it next Easter. My kids are getting older and could use some unique fun like this! What a fun idea. I still have a bunch of eggs left over from Easter. 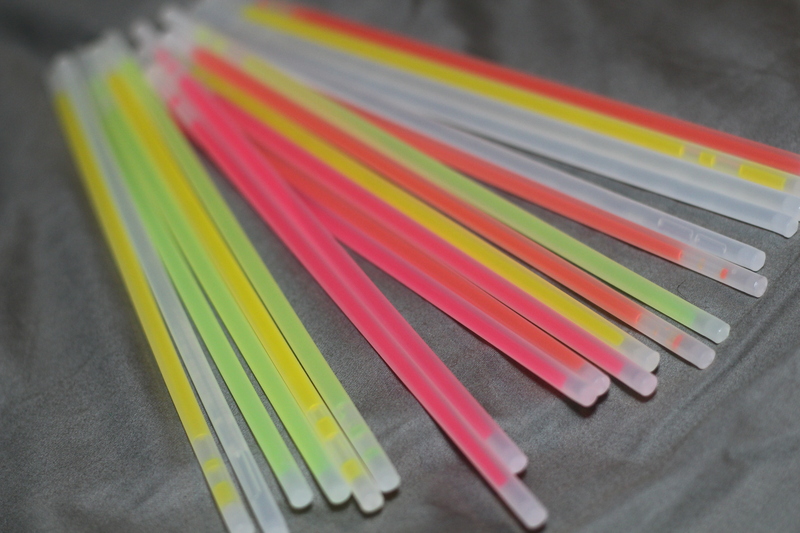 I ‘ll have to find those glow in the dark sticks. It would be fun to do at our outdoor movie nights with the kids. That’s pretty nifty! What a fun way to let the older kids still have fun with egg hunting! 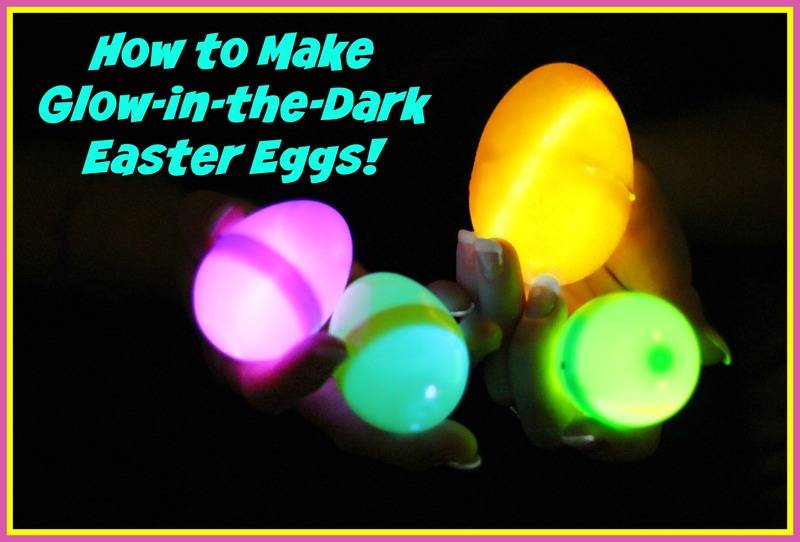 I have never made Glow in the Dark eggs before, but I would love to try. This is a great idea for Easter. This is such a great idea. I have not tried this before. The kids would love it. What a great idea! Awesome for night time searches, makes it more exciting! Super cute idea. I will definitely be trying this out next year for Easter my boys will love it! We have made glow in the dark Easter Eggs for the past couple of years. We have really enjoyed it. That is a fun idea.I will try it. What a super cute and fun idea! I’ll have to remember this for next years Easter egg hunt. This is adorable! I am saving this for next easter! These glow-in-the-dark Easter eggs are so pretty! I have lots of extra eggs in storage, so I will have to get some of those bracelets and make a few. My daughter would love them! I’ll bet my kids would love glow in the dark eggs. I’ll have to remember this for Easter next year. Such a cool idea! I would have never thought to do this! This is such a clever idea! I never would have thought to do this! What a fun idea! My grandsons would think these are so neat!